You could buy a Will making template and write it yourself, choose an online service that offers checking by a legal professional, or engage a solicitor or bank to write your Will. Unless your affairs are really simple (and often things are not as straightforward as you might imagine) it’s best to go to a solicitor. If costs are a concern there are two UK-wide schemes that involve solicitors and run twice a year: Will Aid will provide a basic Will for free although they hope for a donation of around £95, and another scheme, Free Wills Month, offers free Wills in March and October to those aged over 54. No responsible parent wants to leave his children high and dry, but unless you make a Will you’re putting their care at risk. By making a Will you can take charge, nominate the person of your choice as their Guardian if they are under 18, and make financial provision for their future. In today’s complex family situations there are often stepchildren, and it’s important to know that they have no right to your estate regardless of your wishes, unless you name them in a Will. Non-married, or non-civil partnered, relationships are treated similarly in law. Regardless of how long you’ve been together or whether you have children, if your relationship isn’t formally recognised your partner has no rights of inheritance. It’s far better to set everything out in a Will to safeguard the future security of those closest to you, married or not. Peace of mind is guaranteed by making a Will, and clarifying your wishes. If you pass away without leaving a Will, the Law of Intestacy determines who gets what from your estate, and could even result in it passing to the Crown. Even if it stays within your family, there is no guarantee that those you wish to benefit will be the ones that do. You know where your money is, or where your investments are, but does everyone else? And if they did, would they know how to handle them if you’re no longer around? The same goes for intellectual properties such as designs or trade marks, patents or copyright, and can extend to bitcoins or even online gaming characters. And, don’t forget your photographs. Stipulating who gets the rights to them in your Will not only effectively transfers ownership so precious personal items aren’t lost, it keeps a record of where they are. Don’t record passwords, however, since Wills are public records that can be published. Keep a separate log of online banking, gaming or social passwords. Even if you have no family or friends that you wish to benefit, making a Will still gives you control over your estate after your death. You may, for instance, prefer to leave your estate to charity than to the government. This won’t happen unless you specify the wish, along with the charity’s name, in a Will. As mentioned earlier, dying intestate (without a Will) means the Crown inherits your estate simply because no one knows what your preferences are. 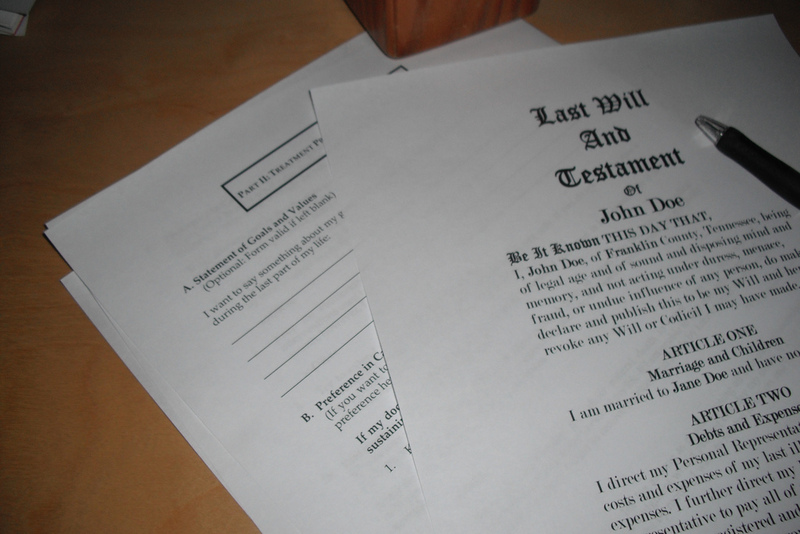 Putting off making a Will is very easy, but sooner or later time catches up with all of us. The sooner we take care of our affairs, the sooner we can relax and carry on living.